From Streets in the Sky to Open mic at the Tivoli….. I was at Square Chapel in Halifax the other week for a trio of ghost stories read out by a storyteller Matthew Bellwood, in the ‘Streets in the Sky’ venue, up above the indoor market, where the pigeons roost. It was held inside one of the old derelict terraced houses; lit by candles and with some of us drinking wine – it was creepy as heck. A novel idea for street theatre. At the weekend I attended a crime writing workshop at Keighley Library with Heaton based crime authoress Liz Mistry. Its topic was ‘ Creating a sense of place in your fiction’. It was absolutely excellent, very informative and well constructed with useful handouts. Thanks to Dionne Hood and Liz for running this. which was inspired by the prompt ‘the dubash’ -yes I had to look up what it meant too! But I really enjoyed the research for the piece and this comp has a very high standard of international entries so I was pleased to get a mention. On Thursday 6 July I will be at the Tivoli cafe in Ben Rhydding reading 3 short pieces at their open mic evening which includes musicians too. from Ben Rhydding & Ilkley. This is being organised by the indefatigable Keely Hodgson Wilcox whose natural voice singing group I harmonise with on a weekly basis. I will only have 3-4 minutes to read out my work, but that is plenty long enough with my nerves! Valley Press run by Jamie McGarry is running some author events this summer in Scarborough-I have booked on the first one as James Nash has been my creative writing teacher with the WEA for the last few years! He is excellent to go and listen to. on August 10th, James Nash will be sharing his classic sonnets and some brand new ones, as well as discussing nine years of Valley Press history with myself. on August 17th, Helen Burke will be celebrating the release of her Collected Poems, performing highlights from forty-eight years of writing. It’s hotter than Athens, my creative brain is melting but I have bits of news to share…. We’ve been watching Artic bound Season 1 of ‘Fortitude’ on dvd, wallowing visually in all that snow while we bake here in Bingley. www.third-word.com who publish 80 word pieces of flash on line and soon in mini print anthologies to raise funds for homeless people. I have 3 pieces on their shortlist for publication. It is a great idea, based on the Big Issue magazine business model. It is National Flash Fiction Day on Sat 24 June, and Calum Kerr on his blog is running an all day FF event; he and other guest editors like Susan Howe and Cassandra Parkin are choosing pieces to put up there on www.flashfloodjournal.blogspot.co.uk. My piece, Cannon Fodder, has been selected to go up there at 18.00. I am delighted. Me teaching Creative Writing in Saltaire in September…. Are you a complete beginner when it comes to creative writing? Or perhaps you have been writing for a while and now wish to take your work further? This series of 4 interlinked workshops led by published author Alyson Faye* will teach you techniques and exercises to start you writing, whether that’s poetry, flash fiction or short stories, and will also advise you how to edit and polish your work for submission. The emphasis is on finding your voice, building your writing confidence and having fun. A new venture for me, though obviously I’ve taught/tutored lots in the past- fingers crossed for a good sign up. I am very excited about this project. I would like to share my love of the written word, tell the story of my own publishing journey and encourage others to try to take their own writing/publishing steps on it. 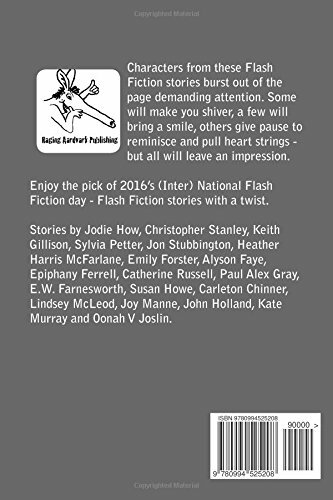 Also many thanks to David Wing, editor/founder of Zeroflash, a website supporting and publishing Flash Fiction for giving Raging Aardvark’s ‘Twisted Tales 2016’ anthology a mention and PR boost. I’ve also signed up to do 2 Crime writing workshops under the tutelage of Liz Mistry at Keighley Library in June, organised by Bradford Libraries. Looking forward to those. 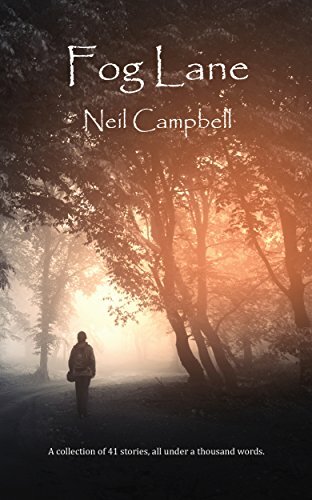 Meanwhile indie publisher Chapel Town Books has a new collection of Flash out by Neil Campbell, available to buy on kindle or in paperback on amazon. Chapel Town support Flash fiction and its authors – their collections are quirky, unusual and touching. Worth a look. PUBLICATION OF ‘TWISTED TALES’ FROM RAGING AARDVARK- something to shout about (hence the sad use of capitals!)….. 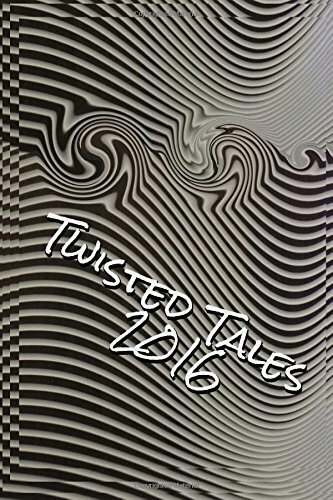 Indie publisher Raging Aardvark has launched ‘Twisted Tales 2016’ on amazon.co.uk and amazon.com (later it will be available on Goodreads and as an e book). On Facebook all weekend (2-4 June) there is an ongoing cyberlaunch where you can invite your writer buddies to come along and smooze. Here are the front and back cover images below:-smart huh!? My story, ‘Children’s Games’ is one of my faves and here it made the cut of the final 14 stories for the National FF Day last year. Its acceptance by Raging Aardvark gave my writing confidence a much needed boost and the determination to keep going. This is a strong collection, worth checking out. and I will happily send one out to you; either for reviewing or just for reading for pleasure. The aim of the project is to spread the word about Flash Fiction and get the stories out there.